Two time Mercury Prize nominee and MOBO winner, Laura Mvula, tops the 2018 Harrogate Music Festival line-up. The soul singer was endorsed by music legend Prince after wowing critics with her debut album, Sing to the Moon, in 2013. One of Britain’s most distinctive musical talents, Laura collaborated with the legendary Nile Rodgers, combining his upbeat sound with her thrilling harmonies for her album The Dreaming Room. She’s netted two MOBO Awards, and got nominated for two further BRIT Awards. One of the most distinctive musical talents, the classically trained one-woman symphony fuses orchestral soul with poetic lyricism in her songs. Tagged ‘the new Adele’, Mvula’s music is far stranger, rich and complex. Alongside the MOBO winning Mvula, Harrogate Music Festival kicks off with a special launch concert on June 17 from the John Wilson Orchestra, with a starry programme that features the famous women of Hollywood’s Golden Age. Highlights for the month long Music Festival in July include northern powerhouse, the Hallé Orchestra with its musical director, the renowned Sir Mark Elder CBE, celebrating the 125th anniversary of Tchaikovsky. As part of the global celebrations of the centennial of Leonard Bernstein, Britain’s favourite clarinettist, Emma Johnson, will perform his classics including music from West Side Story. Showcasing Young Musicians for over half a century, the Festival features rising star Louisa Staples. The international strings prodigy performs Prokofiev, Debussy and Ravel. The Force is with Oddsocks as the theatre troupe deliver their trademark twist on The Bard, setting Shakespeare in space. 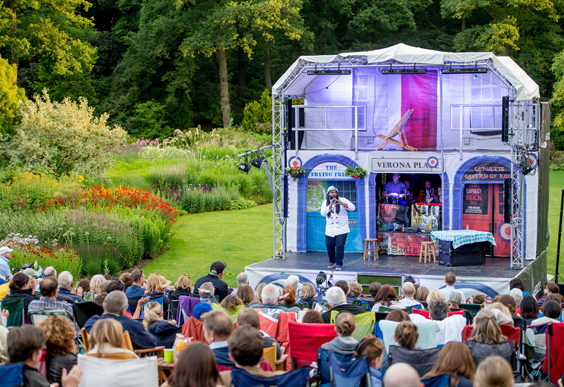 The Tempest moves to a galaxy far, far away in a sci-fi musical adaptation performed in RHS Harlow Carr Gardens. 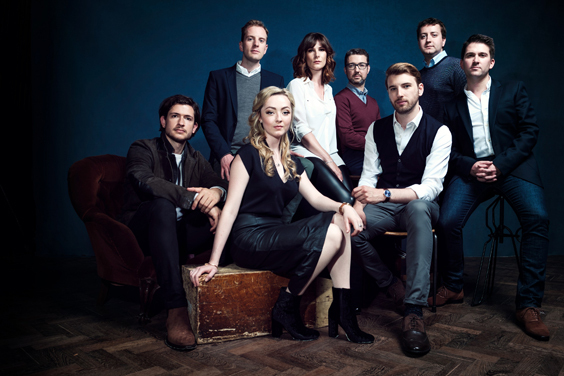 For a little divine intervention, British vocal ensemble VOCES8 perform ‘A Guardian Angel’ with the queen of the Baroque violin, Rachel Podger in a concert by candlelight. This year also sees the return of the magical Spiegeltent in Crescent Gardens, with a Children’s Festival and week-long programme of live music featuring club classics, soul and jazz, with Guest Curator the MOBO-nominated jazz vocalist, Ayanna Witter-Johnson. Acts include the House of Burlesque, the Gypsy Queens, a DJ set from Graeme Park, and jazz duo Binker and Moses, alongside free lunchtime concerts by Young Musicians. The festival will also host the popular 1940s Day and a Long Table Dinner in Valley Gardens. With over 80 events, there’ll be a chance to chill out and enjoy sensory bliss in a walk-in Sculpture on the Stray with the Luminarium from Architects of Air.